It was a really good experience, very friendly, and made it happen No problem! Just had my new "daughter" in for her first checkup. Nick, back in the service department, did an alignment, inspected suspension components and got the oil change completed on my '19 Rubicon. He even got a software update done on the UConnect system! We are headed out to the mountains this weekend to go have some fun thanks to Nick. Keep up the AWESOME work!!! I am very pleased with my truck and the way they handled the sale. Everyone was real nice and friendly, and did everything they could to help. 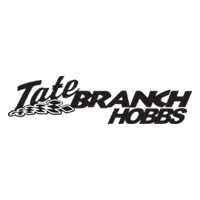 I highly recommend Tate Branch. John was super helpful ! Very friendly and obviously good at what he does ! Highly recommend! Thank you for the great costumer service!